Over 2.000 years ago, the father of modern medicine, Hippocrates, would prescribe apple cider vinegar as a remedy for a great number of illnesses because this popular household product, usually used for cooking and cleaning, is actually packed with an amazing mix of antioxidants, essential amino acids and enzymes and can be a wonderful home remedy with health boosting and weight loss benefits. It is derived from squeezing out the liquid from crushed apples and then fermenting it with the addition of yeast that turn the sugars into alcohol. Then bacteria are added to further ferment the alcohol and turn it into acetic acid, which is the main active compound in vinegar. 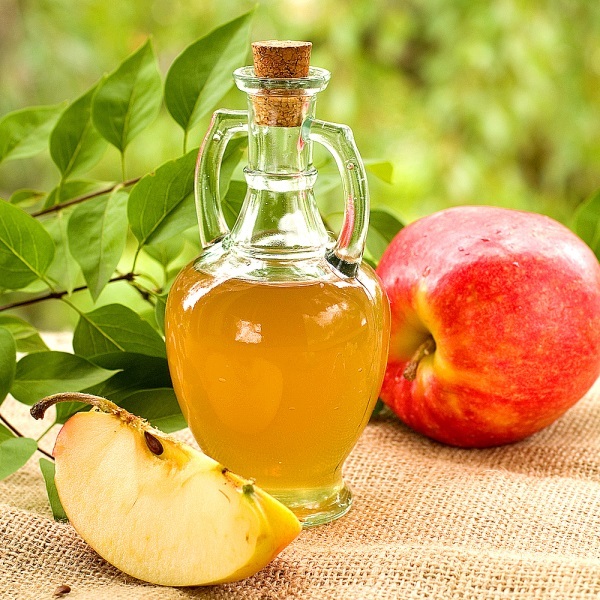 Its medical use stems from its anti-bacterial, anti-septic, anti-viral and anti-fungal properties, and organic, unfiltered apple cider vinegars offer the best quality benefits. One of the major benefits of apple cider vinegar is that it makes your body alkaline, instead of acidic, and there is a scientifically proven inverse correlation between one’s health and acidity. Multiple studies have proven that including apple cider vinegar in your diet can help improve your health on many ways, including supporting weight loss, lowering blood sugar levels and improving insulin sensitivity and much more, so check out this list of the most important and thoroughly researched health benefits of apple cider vinegar. The reason why vinegar has traditionally been used for cleaning and disinfection is because it’s incredibly efficient at killing pathogens (Hippocrates used it for wound cleaning). This is due to the fact that most germs can’t survive in the acidic environment vinegar creates. Any ilness or discomfort you might be experiencing that can be traced from bacteria, virus, fungus or due to low pH levels, including allergies, sore throat, candida, sinus infections, ear infections, rashes and stomach ulcers, can be treated with the help of apple cider vinegar. When used as a food preservative, it helps inhibit bacteria like E. Coli from growing in the food, which makes it one of the best natural ways for preserving food. No matter if you’re diabetic or not, everyone can benefit from keeping their blood sugar levels stable, and vinegar might be the most inexpensive natural way to do that. Many studies have found that consuming one or two tablespoons of vinegar daily decreases both fasting and postprandial (after-meal) glucose levels and improves insulin sensitivity. Nobuma Ogawa, Ph.D., from the Tokyo University, found that the acetic acid found in vinegar inhibits the activity of several carbohydrate-digesting enzymes, which disables certain sugars and starches from impacting your blood sugar. This means that, combined with a healthy diet and regular exercise, taking just two teaspoons of vinegar with your meal can successfully help lessen the symptoms of type 2 diabetes. More than a few studies have shown that apple cider vinegar can help lower cholesterol, including this one study published in the British Journal of Clinical Nutrition which found that consuming one tablespoon of apple cider in the morning can help you increase bile production, support your liver function and naturally lower your bad cholesterol (LDL) and triglyceride levels while boosting your levels of good cholesterol (HDL). According to another study, apple cider vinegar contains the antioxidant chlorogenic acid, which protects the particles of the LDL cholesterol from becoming oxidized, thus reducing the risk of heart disease. In addition, the acetic acid in apple cider vinegar can help lower the high blood pressure in many people when used regularly and in the context of a healthy diet. These findings are really important, considering that cardiovascular diseases are the most important health problem on the planet for a long time now and are the world’s leading cause of death. A recent study published in the Journal of Functional Foods found that by blocking the digestion of certain sugars and starches, the acetic acid in apple cider vinegar can help you reduce the count of calories of your meal, i.e. less gets broken down into calories in the bloodstream. In the long-term, this starch-blocking power can significantly support your weight loss efforts by interfering with enzymes responsible for regulating carbohydrate synthesis and blood glucose concentration. In 2009, the Bioscience, Biotechnology and Biochemistry journal published a study that found that drinking apple cider vinegar for three months can lead to important declines in body weight, abdominal fat and waist circumference. By increasing the amount of acid present in your stomach before a meal, you can improve the efficiency of your digestive process and increase the availability of protein. The improved protein utilization will boost the production of the growth hormone, which in turn can help keep your metabolism up, enabling you to burn more calories while both exercising and resting. Also, apples and apple cider vinegar are great sources of pectin, a nutrient that helps increase your satiety sensation and suppresses your appetite. According to the scientists at the A.P. John Institute for Cancer Research, unfiltered apple cider vinegar is a valuable tool in the fight against cancer. The institute announced that acetic acid can kill cancer cells by starving them and significantly slowing their growth. Among other things, apple cider vinegar promotes alkalinity in the body (despite its acidic taste! ), which makes it an inhospitable environment for cancer and many other diseases, and it improves the immune system response. In a few studies done on rats, researchers have found that vinegar stimulates cancer-fighting immune system cells known as “cytotoxic T cells“ and another study found that taking apple cider vinegar is associated with a decreased risk of esophageal cancer. While the cancer-fighting benefits of apple cider vinegar are yet to be fully scientifically confirmed and recognized, the situation looks rather promising. To get the best results from this awesome liquid, opt for the most unadultered brands you can find containing the “mother of vinegar“, a natural cobweb-like sediment at the bottom of the bottle. Raw, unpasteurized and organic apple cider vinegar has the strongest enzymatic anction and the most potent healthy bacteria.Enjoy one or two tablespoons of it in a glass of lukewarm water in the morning or before going to bed. Consider adding some lemon juice and honey to improve the taste and additionally boost the health benefits. However, make sure you don’t drink more than the recommended dose, because excess consumption could potentially lead to negative effects, including tooth erosion, damaged stomach lining and low potassium levels. Apple cider vinegar won’t give you any miraculous effects overnight. As it is with any form of natural medicine, regular consumption over a longer period of time is advised in order to get maximum benefits.